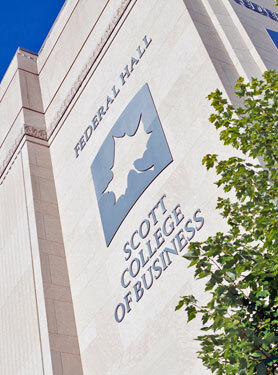 The Scott College of Business could not provide as many facilities and events as it does without the generosity and support of many individuals, groups and companies. These pages were created to recognize and celebrate our benefactors. 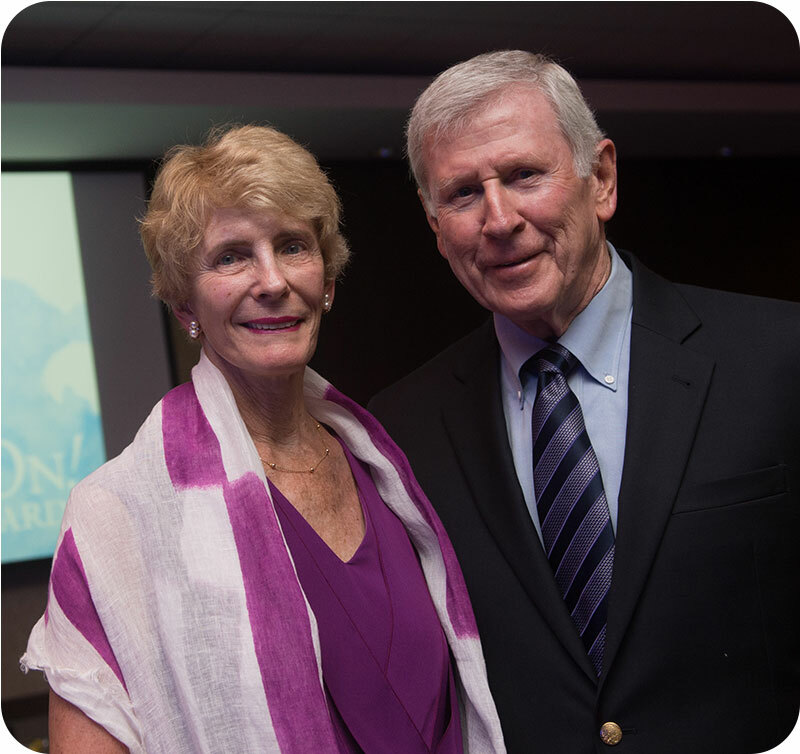 The Scott College of Business was named in honor of Don and Susan Scott of Terre Haute, Indiana for their generous support of Indiana State University. The family has made a significant impact on business development in Terre Haute. Susan’s great grandfather, John A. Templeton, emigrated from Scotland to work in Indiana coal mines. He went on to own mines with the founding of Templeton Coal Company, Inc. in 1920. Don’t parents, Robert S. and Elizabeth M. Scott, were born in Terre Haute. Don’t father worked at Home Packing Company, where he started at entry level as a bacon wrapper and later became president and majority owner. As a couple, Don and Susan have been an integral part of the local business industry throughout their lives. Don founded Sycamore Agency, Inc. and dedicated four decades to its success and growth. As owner and president of the company, Don hired Indiana State students and graduates from the insurance and risk management program. Federal Hall, home of the Scott College of Business, has served the Terre Haute community and nation since 1935 by housing the local U.S. Post Office, federal government offices and the federal courtroom. As Sycamore Agency, Inc. was located in downtown Terre Haute, Don walked in and out of Federal Hall on a daily basis to get his mail. His mailbox, number 443, has been preserved with the building’s history. 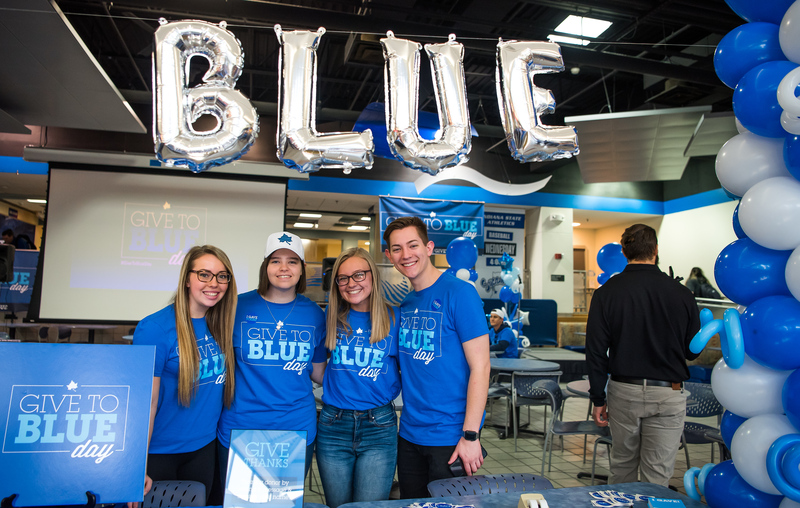 Although Don and Susan are not alumni of the University, they have proudly supported Indiana State throughout their lives. Don has served on volunteer leadership boards, including the Indiana State University Foundation Board of Directors. Their commitment to Terre Haute and Indiana State University, combined with their love of Federal Hall, inspired their gift and the naming of the College. The transformation of Federal Hall from the U.S. Post Office to the Scott College of Business has been a remarkable milestone for the University. Nationally recognized for its programs, the Scott College of Business inspires students and faculty to learn and grown will providing a quality education for future business leaders that will impact the Wabash Valley, state, nation, and world.